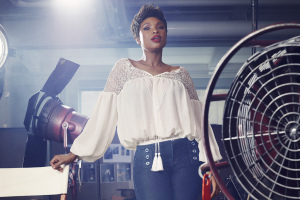 Jennifer Hudson just made Soho Jeans from NY & Co a bit cooler. J Hud will appear in photos for the brand including in-store, print, digital and social media platforms. The Soho Jeans Collection, which will be available for purchase on July 22, is a series of designs created in New York which is meant to encapsulate a downtown vibe. Jennifer loves that the brand is both fashion-forward and comfortable at the same time. Now that Spring campaigns are well under way, of course fashion houses want to let us know who the face of their Fall 2015 campaigns are now. 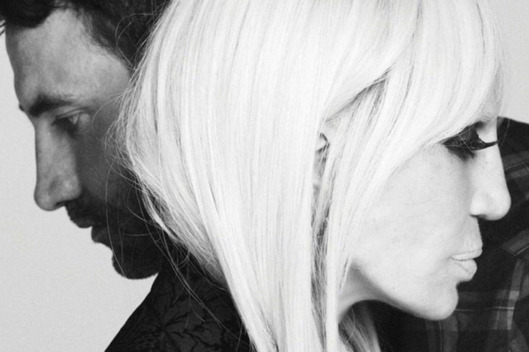 So Riccardo Tisci let the world know on Instagram yesterday that Donatella Versace will be the face of the Fall ads for Givenchy this Fall. The ads were styled by Mert and Marcus according to Fashionista.com and styled by Carine Roitfield. The campaign will be released in September just in time for the Fall and New York Fashion Week. I personally love the idea of one fashion house representing another. It speaks to the camaraderie of the nature of the fashion industry especially amongst household brands. So this year its been Madonna, Julia Roberts and now Donatella Versace…making the Givenchy brand reflect music, acting and fashion which of course no doubt all go hand in hand. Look forward to the Fall!